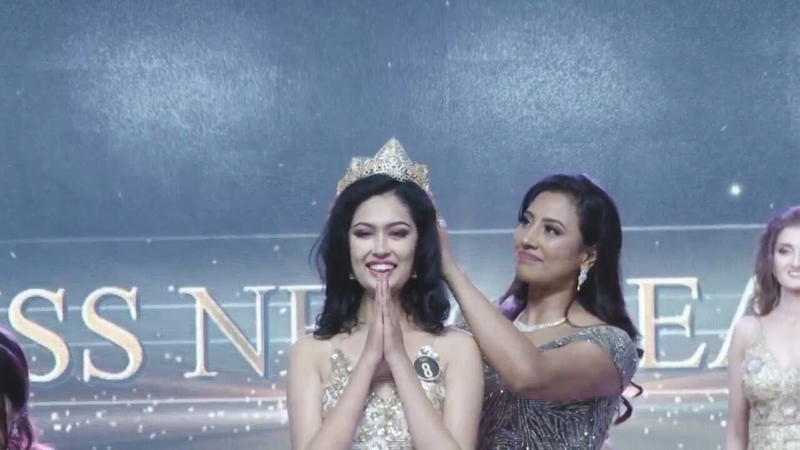 Shrinkhala Khatiwada has been crowned Miss Nepal 2018. The 22-year-old architect from Hetauda will represent Nepal in the Miss World pageant in December this year. She succeeded Nikita Chandak who crowned her at the end of the event. She also dominated the special awards as she won the most number of subtitles – Miss Beautiful Hair and Miss Fascino. Contestant # 25 Shrinkhala Khatiwada is Miss Nepal World 2018. While Manita Devkota won the title of Miss Nepal Universe; Priya Sigdel bagged the Miss Nepal Earth title and Ronali Amatya was announced Miss Nepal International. They were crowned by the title winners of the last year – Nagma Shrestha, Rojina Shrestha and Niti Shah; and they will be representing Nepal in the Miss Universe, Miss Earth and Miss International pageants respectively. Apart from the four title winners; Sayara Lama, Ashma Dhungana and Mahima Singh were among the top seven finalists. While the Miss Friendship subtitle went to Sayara Lama, Mahima Singh won Miss Photogenic. Similarly, Miss Punctual and Miss Intellectual special awards were won by Laxmi Paudel and Ashma Dhungana respectively. On the other hand; Megha Shrestha won Miss Athlete, Aastha Saakha won Miss Confident, and Manita Devkota won Miss Glamour. 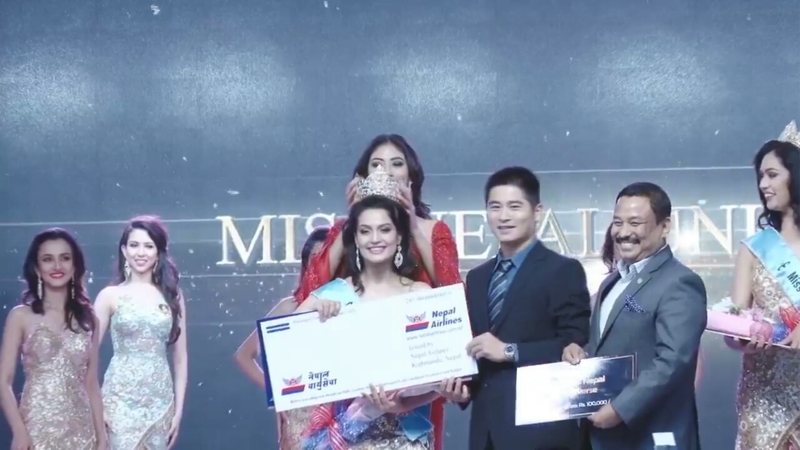 Sandhya Adhikari was the Miss Popular Choice and Ronali Amatya was given the Miss Talent award. Another important award, the Beauty With A Purpose subtitle was received by Priya Sigdel. The special award winners were awarded with Rs. 25,000 cash prize for each of the subtitles they received. The grand finale of the 23rd edition of the Miss Nepal pageant that took place at Hotel Annapurna in Kathmandu had a record 25 contestants vying for the coveted titles this year. The contestants were selected from various auditions that were held by The Hidden Treasure (THT) in Dhangadhi, Nepalgunj, Butwal, Pokhara, Dharan, Birgunj, Chitwan, Birtamode and Kathmandu. The participants had then gone through various training sessions and had been part of a lot of activities in last seven weeks. It was the very first time when the Miss Nepal contestants were competing for the title of Miss Universe Nepal as it was Nagma Shrestha who was handpicked by THT to represent Nepal in the Miss Universe pageant for the first time in Las Vegas last year. Various artistes including Alize Binanic and her dance crew, Swoopna Suman and Suzeena Shrestha had performed live during the event. The panel of judges this year consisted of Sunil Shakya, Bhawana Ghimire, Rabindra Mishra, Ashishma Nakarmi, Shrihar SJB Rana, Pratistha Amatya Bista, Deepak Bista, Nikita Poudel, Evana Manandhar, Raju Bikram Shah and Gobinda Gajurel. The event was hosted by Suraj Giri.